← Judge a Book by Its Cover? 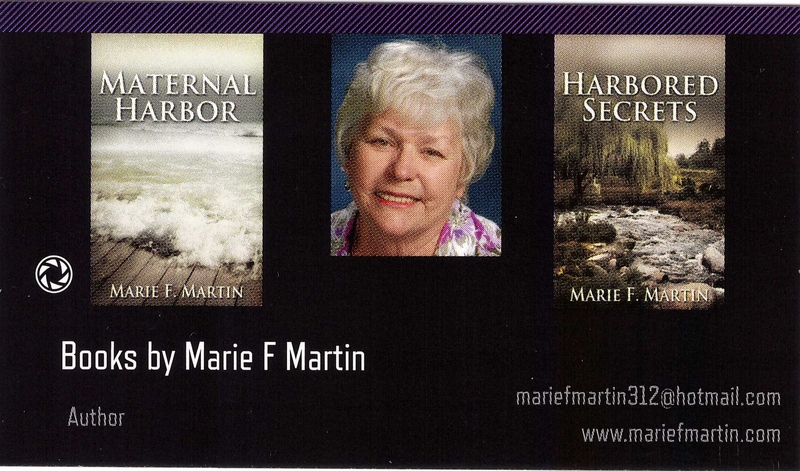 My novel Harbored Secrets asked to be told in first person after part of the first draft was written. So following my muse I switched from third person to the more immediate first person. That gained me a dilemma. I needed to tell Blinny’s father’s thoughts on two occasions. When he learned about his son and why he left France. I reduced the two scenes into poetry for Blinny to read. I worked for weeks figuring out how to reshape the pages of description and dialogue in a poem. The following is what I came up with for his history. The rhythm wouldn’t, couldn’t stay hidden. Earned by doing what never should be. ‘til the last of the train was lost to sight. by a man with a spirit totally dead. appeared in the dusk looking darker of tone. Hues of caramel touched his over ripe grain. He needed to harvest ‘ere the next rain. But now he had time, he would hurry no more. He’d gather the crop to calm his heart sore. to sire sons and put an end to the strife. And away from the charred chimney he turned. And forced him to write of a lad and a war. Mortar shells blew holes in houses of stone. He ran and he ran, terrified and alone. He fell near rubble, the church o’ his youth? He saw the lone cross, a symbol of truth. spare my family, they’re all that is mine. Finally he reached the house he called home. Part of the roof blown down on the loam. hugging in death as if they were fine. was darker, far darker than ink from his pen. Parts of his father scattered the ground. inside the heart of the man, that was me. I share this as a suggestion to any poet who is struggling with an idea to write it as a scene first and get the feeling of what mood you want. That helped me. 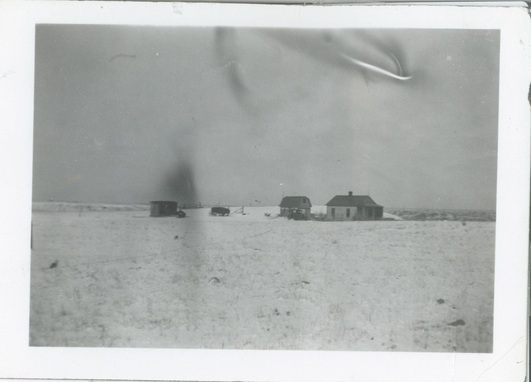 My grandfather wrote poetry in this prairie house. In the 1930s. This entry was tagged family, Montana, poetry, prairies. Bookmark the permalink. Thanks, Karen. I write very little poetry, but now and then one comes to me and demands to be put on paper.